Okayafrica spoke with Yasiin Bey's (Mos Def) official representative who maintains that the allegations against him are false. 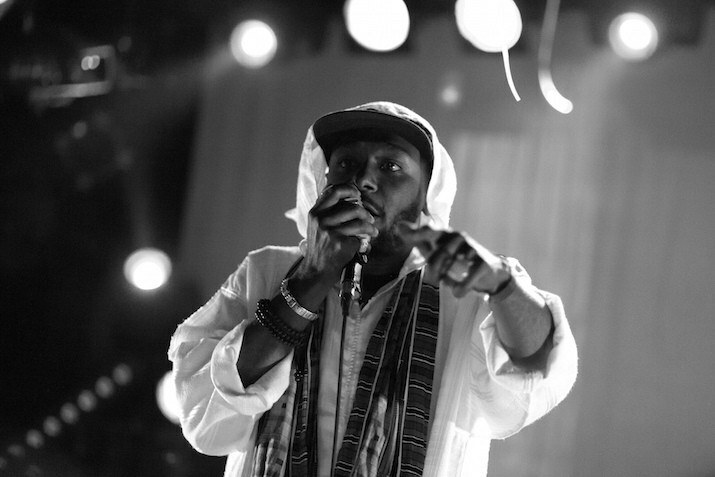 This morning we reported Yasiin Bey (better known as Mos Def) was arrested in Cape Town, allegedly over using a World Passport while trying to leave the country. Okayafrica spoke with Bey's official representative who maintains that the allegations against him are false. What follows is our conversation. What is your take on the allegations? From what I’ve read their allegations are wrong. He attempted to leave the country for a professional commitment and was denied the ability to board an airplane after providing his World Passport. Why does he have a World Passport? It's issued by the World Service —in support of the UN Declaration of Human Rights. His understanding is that the South African government has previously accepted the World Passport to enter the country and to provide visas as recently as August. Are there political reasons he prefers not to use his US passport? Social and political, yes. He shouldn't be forced to use his US passport. Was he attempting to leave the country? He was leaving with two people. He was heading to the Selam Music Festival [in Ethiopia]. He was scheduled to perform on the 10th. He tried to leave on the 9th but they wouldn’t let him board the plane. They violated his human right to pursue his profession. How long was detained for? He was detained for two nights at least. What is his position now? He’s down there to produce and to act in some motion pictures, three of which are slated to film in South Africa this year. Is he in the country legally? It's my understanding that he is. Is his family in the country legally? They may have stayed past their visa term, however, his arrest is because of the claim that he was allegedly using a false and fraudulent document. Why not use a US passport? He considers himself a world citizen and wanted to to use his World Passport in support of the United Nations Declaration of Human Rights. Although South Africa did not sign the declaration in 1948 -- probably because they were governed by Apartheid at the time -- Nelson Mandela believed it was a necessary document for the continued growth of South Africa after the abolishment of Apartheid. Does he believe the US guilty of human rights violations? Generally speaking, various state and local law enforcement bodies have violated the most fundamental human right -- that is the right to life of several young, unarmed, black men. **Correction, January 20 5:10pm EST: We previously reported Yasiin Bey was given 14 days to leave South Africa. Bey himself will appear for trial on March 8. His family was ordered to leave South Africa by January 29, 2016.